WITH OUR 100% ART AND 100% EXPERIENCE FORMULA. 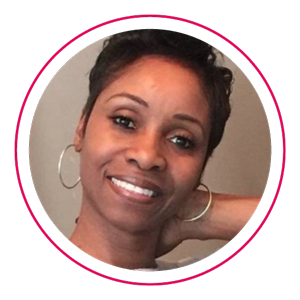 Marguerite Allen, is an Entrepreneur, Project Manager, and Interior Designer based in the Atlanta area. She has been in the Interior Design Industry for over 20 years and was originally based in South Florida where she managed her own firm, Interiors by Marjani. Her Clientele included Hotels, Churches, Daycares and Homeowners. She also specializes in Silk Floral Arranging and her work has been showcased at many Miami and Ft Lauderdale Home Shows. Alejandra is an award-winning residential interior designer. She has over 18 years of professional experience creating unique interiors. Alejandra has a passion for art, design and education. She is the Founder and Design Director at AD Studio in Atlanta. She is a SCAD alumna and also lectures at SCAD Atlanta Interior Design department. CALL US TODAY. We would be happy to schedule an initial meeting to evaluate your specific needs.